Lightning protection is nowadays applied worldwide since the advent of international standards. Lightning protection is widely justified by the casualties and damages. 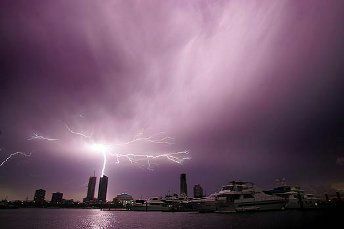 As a matter of fact, the lightning business is constantly growing as more and more sensible areas need to be protected. However, the demand of copper materiel is increasing as well, its price too. Furthermore, the most frequently used method of protection is consuming a lot of copper. The copper production is also consuming a large amount of natural and power resources, not to mention the ecologic balance. The lightning activity in a hail-bearing thunderstorm occurred in Beijing was analyzed on 23rd June, 2004.by using the data from SAFIR and Doppler radar. The cell was strong vertically developed, it reached a maximum altitude up to 19 km and had a duration of 1h30. the storm exhibited high intracloud (IC) flashes rates(17.5 min-1 )and low Cloud-to–ground (CG) rates (1.3 min-1 ) during the lifetime. While In this case the CG flashes are largely dominated by positive CG(PCG) flashes. The ratio of IC to CG in this hailstorm remained more than 10 ,which was higher than general thunderstorms. The rise time namely, the time of lightning frequency from beginning to jumping to the peak (t1-t0) in this lifetime, could be used as a index to warn the peak of lightning frequency; while the time of lightning frequency beginning to jumping (t0) was 19min ahead of hail bearing times (t2), which was also a very useful index, It could contribute to the use of lightning monitoring data to forecast hail disaster. To make a lighting earth may be very costly. It is probably the more complex earthing system to design. The selection of a good lightning earth is a balance between the cost of achieving it and the benefits: namely weaker SPDs and in some case even less SPDs. Standards describe how to make a good lighting earth.To improve the earthing value, there are many ways that may be combined (more electrodes, earth enhancement compounds etc.). If it is not possible, then a provisional action may be to use stronger SPDs. In this work, we developed two computer models to infer the regions of best performance of a lightning detection network. The models were developed using the software Matlab® and its mapping toolbox (GIS). The first model, called the geometric model, uses the characteristics of the detection sensors to show the coverage in the study and also the individual positive and negative influences of each sensor. The second model, called a geographic model also takes into account the characteristics of the sensors, but more realistically, including the decay of the efficiency of lightning detection with the distance. In order to compare models, was used as an example the lightning network detection of SIPAM (LDN-SIPAM). At first, we studied the regions of the system with maximum lightning detection efficiency through the geometric method and considering all the sensors in operation. Then the same procedure was performed using the geographic method. In the geometric model we used a detection efficiency of lightning discharges contained within a radius of 400 km away. In the geographic model was also considered a radius of 400 km of efficiency, but with degradation. This degradation was represented by one standard deviation of 136 km. The results obtained from computer models were compared with actual data obtained by the LDN-SIPAM in January 2007 and from January to April 2009. The influence of the operating status of the sensors in the lightning detection efficiency was also evaluated. For this purpose, we made simulations taking into account the absence of some sensors. The results obtained through computer simulation showed a good correlation when compared with the real data acquired from LDN-SIPAM. The results for the study case, with all sensors in operation, showed a lightning detection efficiency of 57%. When the sensors are removed from Belem, Paragominas and Breves it was observed that there is a flatness and a loss of detection in the northern part of the network and the maximum probability of detection drops to about 43%. Traditionally, storm detection has been based on the measurement of two parameters: electromagnetic field and static electric field. Storm detectors that are based on the measurement of electromagnetic field acquire electromagnetic waves from an antenna after an atmospheric discharge occurs. For that reason, these detectors are unable to detect the initial phases of thunderstorm if any intra cloud or cloud to ground discharge happens. On the other side, the use of field mills allows the detection of thunderstorms by means of the electrostatic field measurement. The evolution of the electric field gives early information about the thunderstorm. That is especially useful during the initial phases of the storm when the electric field is rising before any lightning discharge occurs. This method of detection provides a lead time which may be useful to take preventive actions. The main drawback of field mills is the use of an electric motor to turn its blades and create an internal chopped signal from the electrostatic field. For this reason they need maintenance to prevent Mechanical failure. A new technology, which is a novelty on the market, allows detecting the initial phases of the storm measuring the electric field but without using any mobile element. This technology, FCES (Field- Controlled Electrometric Sensor), is totally based on electronic sensors with no mechanical elements. This paper shows the results of the measurements done by a detector using this new technology, placed in a permanent test field based in Spain. Across many regions of the globe, rare are the human and economic activities, civilian or military, which are not potentially exposed to the storm threat. They produce every second, hundreds of lightning strikes and lightning sparks, their value can reach several thousand of amperes. One third of them hit the ground. Damages to properties and persons can have serious consequences. It is well-known that cloud-to-ground lightning strikes are a serious threat to human beings, services and goods. For that reason during the last decades the Thunderstorm Warning Systems (TWS) have experienced an extraordinary development. The Standard EN50536:2011 Protection against lightning-Thunderstorm warning System describes the basic requirements of the sensors in order to monitor the electric field with preventive purposes. The Standard describes four TWS Classes, but it does not include any procedure for establishing alarm thresholds for such sensors. The scope of this paper is to propose a procedure that would permit to select appropriate thresholds of electrostatic fields, thus letting enough time in advance to execute the preventive actions and avoiding false alarms for Class I TWS. The evolution of ambient atmospheric electric field during several storms is studied and compared with the strike distances. A Thunderstorm Warning System Class I, capable of measuring the electric field of all storm phases, is used to obtain the evolution of the ambient atmospheric electric field. The curves are analyzed taking into account the data from the lightning location system of the Spanish National Meteorological Agency (AEMET). The strength and conductivity of the connectors, also called terminals in electronic industry, and their connections used in Type I surge protective devices (SPD) as a part of the electrical equivalent circuit are critical for the correct working of the surge protection. Not all the types of contacts and materials are suitable to be used in Type I SPD due to the high energy associated to a direct lightning impact. The aim of this paper is to evaluate two different options, tested for a long time, to connect the electric power cables to the protection devices and the consequences of an inadequate connector when a high impulse current crosses through the SPD. These consequences range from an increase of the residual voltage on the line to a break of the protector or the equipment theoretically protected. The results of the study show an optimized connector system, which has already been successfully implemented in Aplicaciones Tecnologicas type I SPD for a long time. The optimization of the connector was based on several parameters such as the residual voltage and the strength of the connector using different testing waves according to the IEC-61643 standards. Since years the Surge Protective Devices (SPD) are widely used to protect the sensitive equipment connected to the AC distribution network against lightning or switching surge voltages. The international standards for SPDs are now widely spread and make the new generation of AC surge protectors more efficient and more secure. Market analysis shows sometimes a low confidence of the end user in the surge protection, not because he thinks it is not efficient, but because he supposes the use of SPD could bring extra disturbances on his installation. For this reason, an in depth information about the real interaction would be useful. Using the simultaneous high-speed camera records and channel-base current records in an artificially triggered negative lightning, the correlation between channel-base current and integrated luminosity (IL) of air-ionized part of lightning channel is analysed. Depending on the current’s changing trend (ascending or descending), and the luminosity property of those pixels used in calculating IL from the high-speed camera records (including saturated pixel or not), the continuous/continuing current process is divided into Stage-A (saturated ascending stage), Stage-B(saturated descending stage), Stage-C(unsaturated ascending stage), and unsaturated descending stage (not considered here due to lack of data). The analysis shows that: (1) IL shows a linear correlation with the logarithmic value of current in both Stage-A and Stage-B. The regression parameters (intercept and slope) in Stage-B are higher than those in Stage-A, which means that corresponding to a same current value, IL in descending stage is higher than that in ascending stage. (2) There exists a significant linear correlation between the square root of IL and current in Stage-C, and in this stage the curve fitting model shows the best fitting effect among the three Stages. (3) For all of the three Stages, there exist significant positive correlation between the fitting effect and the threshold index used in the calculation of IL, and the more perpendicular the channel is to the ground, the better the fitting effect. This paper analyzes the cloud-to-ground lightning peak current values detected by the Amazonian Protection System (SIPAM) and its effects on planning of the electrical systems expansion in this region, which in the next 20 years will be the most important hydropower generation region for Brazilian power system. This regional detection system possessed 12 LPATS IV sensors until the year 2010 and is currently at restructuring process. The paper discusses the data collected and their implications for the lightning protection systems. The study refers to the year of 2007 when approximately 1.7 million negative cloud-to-ground lightning were detected. The results indicated high median values of the peak currents, a critical parameter for dimensioning the protection of the electrical systems. Concludes that the old LDN-SIPAM represented an advance in the monitoring and lightning patterns recognition for the Amazon, nevertheless the new LDN will need higher detection efficiency for optimization of the regional energy planning. Starting from a rigorous mathematical formulation for a lightning channel, as well as for the electromagnetic fields generated by them, for the case of lightning striking the ground directly or an elevated grounded object, it was possible to carry out a comparative study of the urbanization effects close to an overhead line with respect to the increase or decrease of the induced voltages and currents when nearby lightning discharges occur. These effects were analyzed using computational simulations considering variations in some parameters associated with urbanization, such as: number of elevated objects, elevated objects’ average height and occupation or urbanization density. This study investigates an abnormal artificially triggered lightning that produced two times positive upward propagations: one during the initial stage (i.e., the upward leader (UL)) and another after a negative downward aborted leader (DAL). The triggered lightning was performed in a weak thunderstorm over the experiment site and didn’t produce return stroke process. All the intracloud lightning around the experiment site produce positive electric field changes. The initial stage was of weak discharge process. After that, a downward dart leader propagated along the original channel produced by the 1st UL and ended at a height of about 453 m, forming a DAL. Influenced by the DAL, the electric field at a point located 78 m from the rod showed a steady reduction by about 6.8 kV m–1 over 5.24 ms before the initiation of a new upward channel (i.e., the 2nd upward propagation (UP)). The 2nd UP, which started at about 4.1 ms after termination of the DAL and propagated along the original channel, was triggered by the DAL and sustained for about 2.95 ms according to the current record. Two current pulses were superimposed on the current of the 2nd UP. The first pulse, related to the sudden initiation of the 2nd UP, showed a more rapid increase and decrease, and large peak value, than did the second pulse, related to the development of the 2nd UP into the area where the DAL had propagated. The 2nd UP contained the similar-to-leader process and the following neutralization process. This study represents a new type of triggering leader, in which a new upward discharge is triggered in an established channel by the aborted leader propagating along the same channel with opposite polarity and propagation direction. Since air is a natural part of our environment, special attention is given to the study of plasmas in air at atmospheric pressure and their applications. This fact promoted the study of electrical conduction in air-like mixtures, i.e. mixtures containing an electronegative gas component. If the ionization growth is not limited its temporal evolution leads to the spark formation i.e. a thermal plasmas of several thousand K. in a quasi Local Thermodynamic Equilibrium state (LTE ). But before reaching such thermal state, a plasma sets up where the electrons increase their energy characterized by an electron temperature Te much higher than that of heavy species T or T+ for the ions. Since the plasma is no more characterized by only one temperature T, it is said to be in a Non-Thermal Plasma (NTP) state. Practical ways are listed to prevent electron ionization to go beyond the NTP states. Much understanding of such NTP may be gathered from the study of the simple paradigmatic case of a discharge induced between a sharp positively stressed point electrodes facing a grounded negative plane electrode. Some physical properties will be gathered from such conguration and links underlined between these properties and some associated applications, mostly environmental. Aerosol Filtrations and Electrostatic Precipitators (ESP), pollution control by removal of hazardous species contained in ue gas exhaust, sterilization applications for medical purpose, triggering fuel combustion in vehicle motors are among such nowadays applications. This study focuses on the induced voltage and current generated by triggered lightning on an overhead power line and on the vertical signal line of an automatic weather station (AWS). Pulses of induced voltage on the overhead power line corresponding to the return strokes with the peak currents ranging from -6.67 to -26.47 kA showed bipolar features. Sub-peaks and main peaks ranged from 0.99 to 4.47 kV and from –4.98 to –10.31 kV, respectively, and pulse durations ranged from 111.00 to 155.40 XXXs. The pulses were classified into two types according to the shape of the recovering waveform following the main peaks: slow-recovery type and oscillating-recovery type. The induced voltage waveforms corresponding to the return strokes on the vertical signal line of wind speed were also of two types: with and without a sub-peak after the main peak. All the main peaks were “V” shaped. Values of half-peak widths, 10%–90% risetimes, 10%–90% average gradients, and peaks of pulses (main peaks, –0.41 to –3.10 kV; sub-peaks, 46.59 to 1861.17 V) on the vertical signal line were much smaller than those of pulses on the overhead power line. The amplitudes of the induced voltage were out of proportion with the amplitudes of the return stroke currents. The peaks of induced currents through the surge protection device (SPD) embedded on the power line ranged from –0.22 to –1.64 kA. The duration of residual voltage after the end of the current pulses was longer than that recorded in high-voltage experiments. This paper conducts a review of the different standardized lightning protection methods and systems that are in use nowadays, with specific focus on the topic of lightning interception. The review clearly shows that there is a lack of complete scientific basis in all of them and highlights that their effectiveness validation has been obtained by empirical experience, throughout a vast number of installations widespread around the world that have been exposed to lightning during a great number of years, with the absence of a significant number of incidents or claims with noteworthy damages. One of the key conclusions is that, in spite of the theoretical lacks and while a more solid scientific basis is available, the provision of a Lightning Protection System (LPS), whether this is of the type called passive (Franklin points rods/mesh conductors) or active (ESE), gives a highly effective protection against lightning strikes, provided that the LPS is needed according to the risk analysis methods and installed following their specific standards. For most of the specific sites the protection design can be realized with different methods. Therefore the owner and/or the design office shall be confronted to a choice which can be directed by various parameters (technical feasibility, ease of installation, maintenance, financial data, etc…). The solution might be different according to specific aspects of the sites and the owner’s request. The study will present a specific case for which two different solutions have been designed on the request of the owner. After a detailed presentation of the industrial site and its constraints, the results of the Risk analysis according to IEC 62305 – 2 will be explained. Then a conventional protection and an alternative based on ESE technology will be presented with the same parameters. Advantages and disadvantages of each solution will be examined and the final choice retained by the customer will explained. Various similar cases will be exposed, to explain that there is not only one solution to be applied in any situations. After many years of application of ESE standards in Europe (the first standard for ESE: NF C 17-102 standard, has been published in 1995) and worldwide it has been decided to revise the three standards from France, Spain and Portugal in a parallel procedure based on a Franco-Spanish working group that has been followed carefully by Portugal. This NFC C 17-102:2011 standard is now approved in France and at the time of writing the paper, the Spanish standard UNE 21186:2011 has just passed the national public enquiry and is going to be published approximately in two weeks, and Portugal standard NP4426-2 is on the approval procedure. There are many new things in the standard and most of them are coming from IEC and EN 62305-3 standard. As a matter of fact, there is no reason why a Lightning Protection System based on ESE should behave differently from other systems. This paper will then concentrate on the new items and especially those related to ESEs. EU law – which has primacy over national law – gives rights and duties to the public authorities in each Member State, as well as to individuals and businesses. Each Member State is responsible for the implementation of EU law into its own legal system. Under the Treaty, the Commission of the European Communities is responsible for ensuring that Community law is correctly applied. As the guardian of the EC Treaty, the Commission has the possibility to launch infringements proceedings under Article 258. Consequently, when a Member State fails to comply with European law, the Commission has the power (action of non compliance) to try to bring the infringement to an end and, when necessary, may refer the case to the Court of Justice of the European Union. High voltage laboratory research has been a powerful tool for lightning research in the last decades although today it has been somehow forgotten compared to other research activities such as natural lightning measurements or theoretical modeling. On the other hand, standard testing of lightning protection components can only be performed at High Voltage laboratory facilities at present. There is no standard test of lightning protection performance under natural lightning conditions. The advantage of a laboratory is that testing parameters such as applied voltage or current, ambient conditions and geometrical configuration can be controlled. Besides, testing at a high voltage laboratory provides a statistically significant amount of data. Obviously, natural lightning conditions cannot be fully achieved at a high voltage laboratory but some parameters can be fairly reproduced. 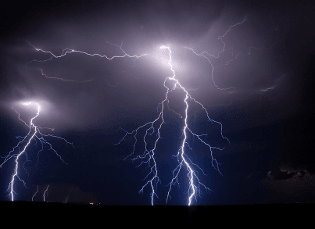 Although lightning is a large scale phenomenon, laboratory tests offer a good opportunity to test and perform research about lightning protection. In this paper we will present two main important laboratory testing arrangements and a summary of the standards procedure. New trends and suggestions for improved future tests of lightning protection components will be discussed. Several lightning protection systems coexist for decades. Theoretical and some laboratory experiments were conducted to try to translate the lightning physical phenomenon into a practical way to protect structures. For more than fifteen years, some triggered lightning researches have been conducted in several countries where the lightning density is high. But in the aim to check the standard and lightning rod performances, an experiment on a real building has been preferred. So since May 2006, a new experiment has been settled in Indonesia. 2. Lightning flash counters and high‐speed video cameras are used to make optical observations of natural lightning strikes to a tall structure in order to measure the striking distance and to compare it with current and past models of the lightning attachment process. The quantified outcomes expected from the test campaigns are both profound and of great importance to lightning protection practice, particularly with respect to the effectiveness of air terminals and lightning protection systems. This paper deals with the Cuban external lightning protection experience. Since external lightning protection is based on empirical knowledge, taking into account that Cuba is one of the regions with the highest ceraunic level in the world and that the lightning protection activities are regulated and controlled by the Cuban Fire authority, the authors have considered important to get conclusions on this experience and to share it. Ernesto Noriega Stefanov, Favio Casas Ospina, Manuel Briceño, Stefano Mangione, Anyi Gavidia. This paper proposes a methodology to audit and certify lightning protection systems in any medium or high voltage substation. The methodology deals with aspects, like data recollection, inspection, diagnosis and verification of the installed protection systems, measurements of electrical parameters, geologic analysis and some solutions are proposed. This paper presents and analyses the collective statistical results of a long‐term field study quantifying the number of lightning strikes to buildings equipped with lightning protection systems. The observations were made over the period 1990–2003 in the Klang Valley area of Malaysia, a region with one of the highest lightning activities in the world. The data sample comprised 86 structures with a mean height and exposure time of 57 m and 6.9 years respectively. These structures were subjected to 384 flashes over the total observation time of 592 years. The positioning of the protective air terminals on these structures was carried out with an improved electrogeometric model of lightning attachment. The collective observational data have been compared with the expected number of incident flashes using a variety of analytical relations and statistical tests. The expected strike frequency was determined with three different, contemporary models of lightning attachment to structures. The protection level or interception efficiency estimated from the models is compared with the actual value derived from the long‐term field observations involving measurements of captured strikes and evidence of lightning by‐pass events. The results show that the observational data used in this study are well‐described by a Poisson distribution. There is a highly significant positive correlation between the observational data and the number of strikes expected from the application of the theoretical models. Finally, the observed and expected values for the mean interception efficiency of the lightning protection systems in the study are shown to be in good agreement. The Temple of Angkor Vat is one of our precious Architectural and Cultural World Heritage. Being located in the Kingdom of Cambodia, this 12th century architectural complex suffered from lightning aggression. Shortly after the end of the local conflict, it was decided to protect this 8th Wonder of the World candidate. This challenging task had to cope with architectural and UNESCO constraints. A risk assessment being realized, an ESE lightning protection was proposed and installed in a proper way to avoid alterations of this stone made National Monument. A discussion about recent risk assessment method applied to this particular building is held. Whether the stadium is regional or has an international vocation, the requirements are the same. The specificity of lightning protection can be illustrated through 3 examples. The direct and indirect constraints are discussed and different techniques are used depending on the sites and their specifics requirements. Ten years of experience in an area often struck by lightning actually proves that lightning protection is indeed possible for such buildings. There is a surprising shortage of statistical publications about the number and effectiveness of existing lightning protection installations, whether for one country, several ones or worldwide, especially considering that nowadays the effectiveness of an external lightning protection system can only be demonstrated empirically. Therefore, Aplicaciones Tecnológicas, S.A. R+D Department have started up several initiatives regarding this matter. As a first step, the present empirical study of a large group of buildings with Early Streamer Emission Lightning Protection Systems (ESE LPS). This group totalizes 4645 lightning protection installations with ESE air terminals, all of them located in Spain, with a common characteristic: their owners have contracted periodic verification services of their ESE LPS to the company Aplicaciones Tecnológicas, S.A. The aim of this paper is to bring information about the effectiveness of ESE lightning protection systems for buildings and open areas. This is an empirical study that atistically analyzes data from the above mentioned installations. The work is completed with two elements: calculation of expected number of flashes to the protected structures along the years and effectiveness verification of these ESE LPS by different means, including a recorded and audited telephone survey to the owners of these buildings. The results show that, in all this these sites, the ESE lightning protection has been fully effective. Franklin France was given by the Sénat, one of the two French legislative chambers, the Lightning protection renovation of four of its buildings (Palais du Luxembourg, Ilôt des Chartreux, Présidence, and 26 rue Vaugirard) based on the specifications established by a Design Department. These historical buildings are part of French national patrimony and shall be taken care accordingly. Limitation of Δt upto 60µs in the standards for lightning protection with ese air terminals.